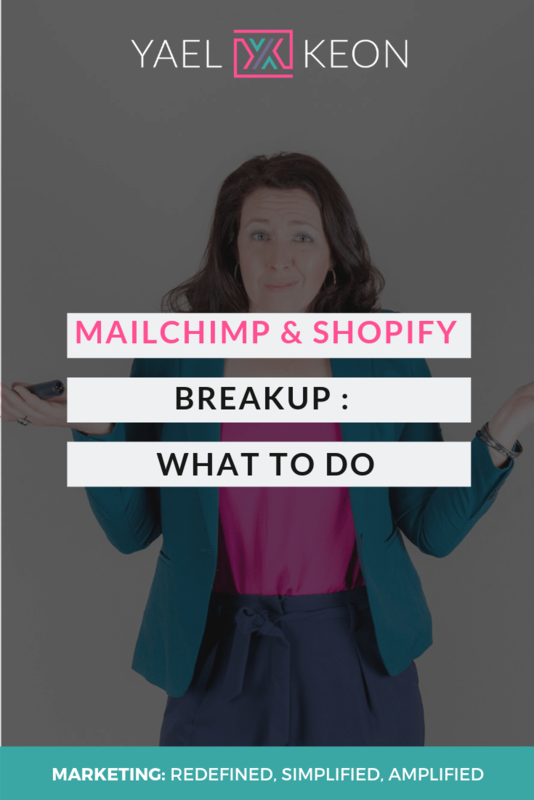 MailChimp and Shopify are getting a divorce. And it has caused a big upset for many an e-commerce store. If you have a Shopify store and use MailChimp, then you’ll need to take action before May 12th or you may lose your integration. The integration is also no longer available for any new users. You can find a copy of MailChimp’s public statement here. If this affects you, then you have a few decisions to make. And this blog will help. 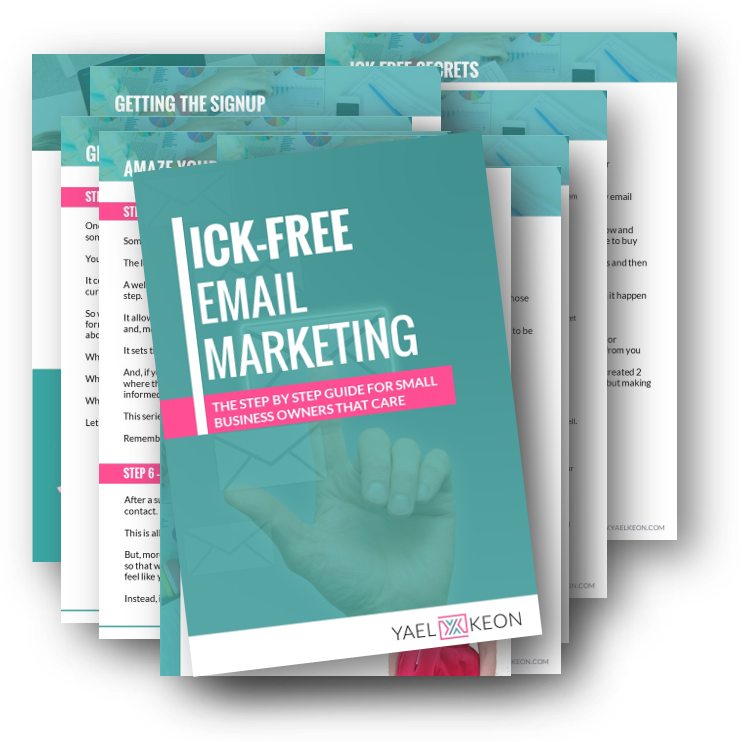 Before you make the decision, it is helpful to do a quick audit of exactly what you are using your email marketing system for currently – and what you want to do with it in future. To do the above effectively, you will want to ensure you have all of the data you need in both systems. This includes their name, email address, location, products and purchase history. The good news is all of the above is possible with the right setup. If you are also using MailChimp’s Facebook retargeting ads features then you’ll also need to switch to directly setting this up via Facebook’s custom audience. You can find details on that here. Once you know what you need to achieve with your email system, then you have a decision to make. Just because MailChimp and Shopify will no longer have a direct integration that doesn’t mean that you can’t still connect them. If you want to maintain all your existing automations within MailChimp, that will be possible using a third-party integrator like ShopSync, Zapier or Automate.io. On the other hand, the integration with Shopify was one of the key selling points for MailChimp. If this is no longer available and you don’t want to deal with a third-party application then this may be the time to make the switch to another email provider. If you are not using email for anything other than getting signups to your email list, you should be able to continue to use Shopify with MailChimp without any third party integrations. This is done by embedding the MailChimp code into a page on Shopify. Sometimes formatting can be a bit of an issue (so it doesn’t look so pretty) but it will work. However, if you want to use some of the powerful e-commerce features mentioned above (and I recommend you do), you’ll need to add in a third-party application to do this for you. There are 3 good options on the market: Zapier, Automate.io and ShopSync. Zapier and Automate.io consider Shopify a premium application so this would require a monthly fee. ShopSync doesn’t. If one of the reasons you were sticking to MailChimp was because of the simple integration, then you may be tempted to make a move. The good news is the options in the marketplace have increased considerably in the past couple of years. A handy comparison of features is in the table below, then I’ve provided a little more detail and handy links against each of the options. Disclaimer: While every effort has been made to ensure the accuracy of the above table details may change, please do your own research and testing before committing to an email provider. ActiveCampaign continues to improve their e-commerce feature set and with their deep data integration to Shopify things are made simple. It will keep a track of all your e-commerce transactions that a contact has used as well as your product details – and from there the possibilities are seemingly endless. They also have the all important abandoned cart option and website tracking. What I really love about ActiveCampaign is that you can easily have multiple lists without worrying about “doubling up” on subscribers. This means you can have a customer list, a warm leads list and a newsletter list. You can also have segments within these lists based on the products or product categories that contact is interested in. Another great benefit? They have a free migration service meaning you don’t have to do the work of setting everything up again. Learn more about ActiveCampaign and Shopify here. Learn more about ActiveCampaign here. Built specifically for e-commerce, Klavyio is another good option. It also includes a direct integration into Shopify. As it has been designed for e-commerce instead of general email marketing, the focus is much more around products and customer history. This means the dashboards and contact lists show this as a priority. Additionally, they have a Facebook integration to help create your custom audiences. It also does all you need when it comes to setting up your sign up forms (including landing pages). However, ActiveCampaign has a better automation system including more triggers (that start an automation) and the ability to add tags. Pricing starts at $20/month. 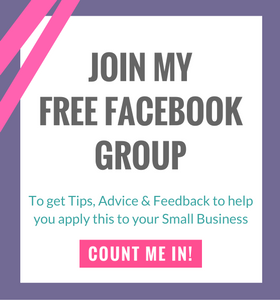 There is a free plan but once you reach 500 emails (total not per month) then you’ll need to pay. Learn more about Klaviyo and Shopify here. Learn more about Klaviyo here. Klaviyo’s guide for moving from MailChimp. Like MailChimp, MailChimp has a free subscription level which may make it appealing to those of you who are not currently paying for MailChimp. On the free plan you get the majority of features you need. However, you will be limited in the email template & design capabilities,the total number of emails you can send and it will have the MailerLite logo. While it does have direct integration with Shopify, it does not support one important feature – Abandoned Cart. So while it is free and may be a good starter option for many businesses, going with one of the paid options may pay for itself with the addition of this one capability. Learn more about MailerLite’s Shopify integration here. Learn more about MailerLite here. 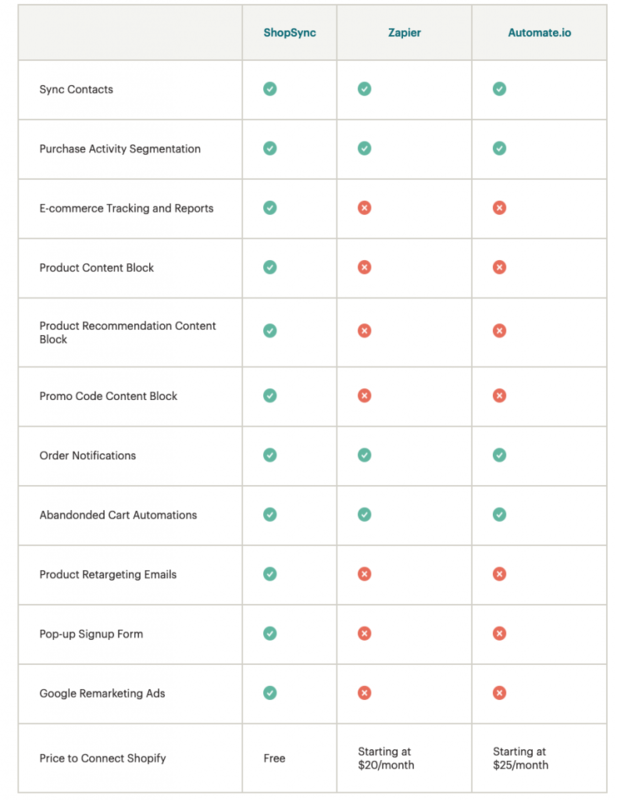 See MailerLite’s comparison to MailChimp here. Drip is relatively new on the scene but is making an impression due to it’s simple design. It is owned by the creators of LeadPages but goes beyond just list building email marketing with it’s integration into Shopify. It provides all the basic e-commerce features you require like abanonded cart and automations. And it provides alot of features for list building if that is also a priority for you. However, it is limited with it’s templates and while it does offer some dynamic content it isn’t quite as powerful as Klavyio’s. Learn about Drip’s Shopify Integration here. Learn more about Drip here. 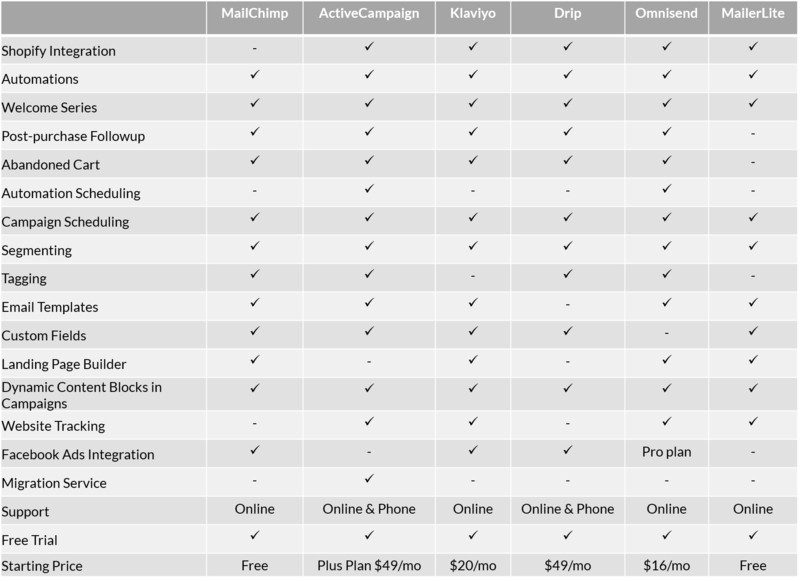 Drip’s guide to migrating from MailChimp. Omnisend is another email provider designed specifically for e-commerce so it has all the feature’s you’d expect. However, while the basic features are available on their entry-level plan some more advanced features like Facebook Custom audiences require you to be on their much more expensive pro-plan. However, it does include handy features like campaign boosters which resends to un-opens for use in flash sales, etc. It also includes a simple template editor and landing page builder. But not the ability to add custom fields (although it will bring all your product data through). Learn about Omnisend’s Shopify Integration here. While frustrating, the announcement of this integration loss has provided an opportunity to reassess your email marketing capabilities and choose the best provider for your needs. If sticking with MailChimp is simpler and makes sense to you, then you may just want to add the third-party integrator. I would recommend ShopSync for this as it is free and gives you the most features. If you wanted to switch up, Klaviyo looks to be the best option for e-commerce features. However, if you also have a wider email list building strategy you may want to consider ActiveCampaign instead as it seems to be the best of both worlds. 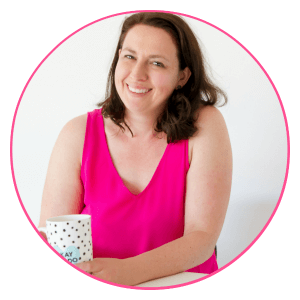 If you need any assistance, check out my email marketing services and I can help get you set up.